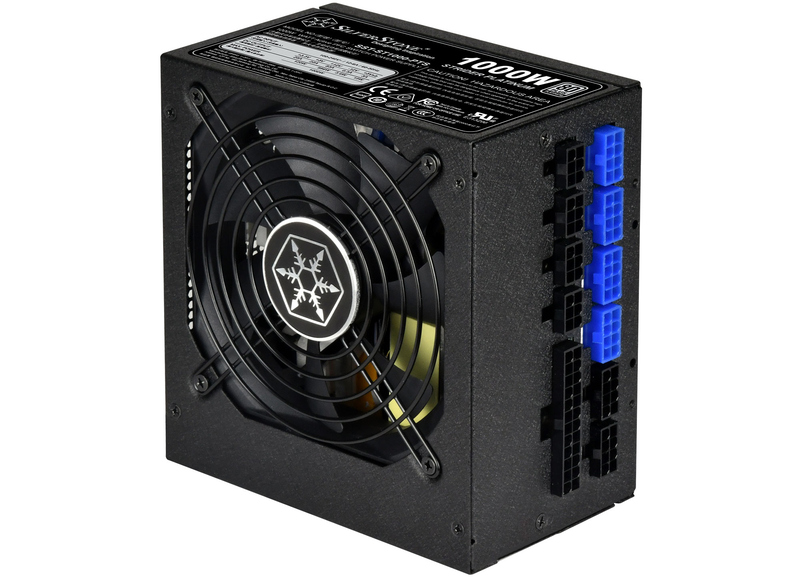 SilverStone this week introduced a duo of short-depth high-wattage PSUs. 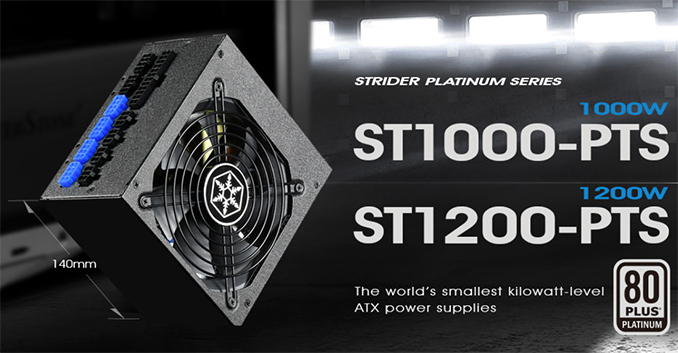 The founding members of the new Strider Platinum PTS family, the just-launched 1000W and 1200W power supplies are only 5.5 inches (140 mm) deep, which will allow system makers and DIY enthusiasts to build high-powered systems using more compact cases. While no-compromise high-end desktops continue to be formidably big (with some of them capable of integrating two motherboards), there are a lot of people who prefer smaller HEDTs. Motherboard makers release enthusiast-class Mini-ITX and Micro-ATX platforms supporting rather rich expansion capabilities, so there is demand for smaller high-end PSUs and chassis. 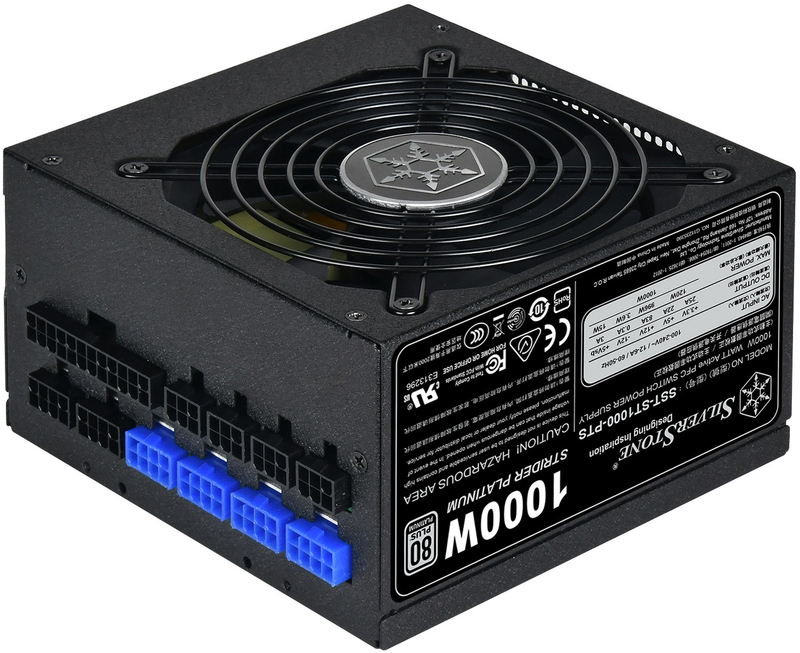 SilverStone was among the first makers of power supplies to offer high-wattage Mini-ITX PSUs, and last year it released a relatively short 1.5 kW ATX PSU. This week the company is making another step towards miniaturization of high-wattage PSUs and launched its 140-mm deep Strider Platinum PTS power supplies. The SilverStone Strider Platinum PTS family – not to be confused with the Strider Platinum PT family – are ATX12V V2.4-compliant PSUs specifically designed for their shorter depth, with SilverStone offering 1000 W and 1200 W models. The power supplies conform to the 80 Plus Platinum requirements, so they are they are mandated to be 89% - 94% efficient under a 50% or 100% load as well as 90% - 92% efficient under a 20% load. The latter enables to take advantage of energy efficiency of modern PC hardware even with high-wattage PSU. Meanwhile, like other modern power supplies, the PSUs are outfitted with over current, over power, over/under voltage, over temperature, and short circuit protection technologies. SilverStone’s “small” (or short, depending how you put it) Strider Platinum PTS 1000 W and 1200 W PSUs feature a single +12 V rail design with a strict ±3% voltage regulation as well as low ripple and noise. The power supplies are outfitted with a 120-mm hybrid ceramic bearing (HYB) fan that spins at 1000 RPM (at 18 dBA) when the load is 50% or below and spins up to 1800 RPM when the load gets higher. As an added bonus, SilverStone bundles its FF122 magnetized fan filter with its new power supplies. Like many advanced PSUs nowadays, the SilverStone Strider Platinum PTS 1 kW and 1.2 kW power supplies feature a modular design and come with two EPS12V connectors to enable compatibility with 2P server/workstations platforms, as well as with modern HEDT motherboards such as those based on AMD’s X399 'Threadripper' and Intel’s X299 'Skylake-X' platforms. As for other of connectors, the new Strider Platinum PTS PSUs feature eight 6+2-pin (8-pin) PCIe auxiliary power plugs for graphics cards (just in case you run four AMD Radeon RX Vega 64 boards), eight SATA power connectors, six Molex power outputs, and two FDD plugs. Traditionally for taday, all cables are flat to ensure greater flexibility. SilverStone will make the Strider Platinum PTS 1 kW and 1.2 kW power supplies available in the coming weeks. The 1000 W model will cost $210, whereas the 1200 W SKU will be priced at $240. "The power supplies conform to the 80 Plus Platinum requirements, so they are they are..."
You have a duplicate "they are" in there.